I like the Knickers but the sizing was way off. I normally wear a M, I had a hard time getting into the M so exchanged them for L. I could get into the L but they were shill to small, had the exchange them again for XL. With all the return shipping, they were not a bargain. 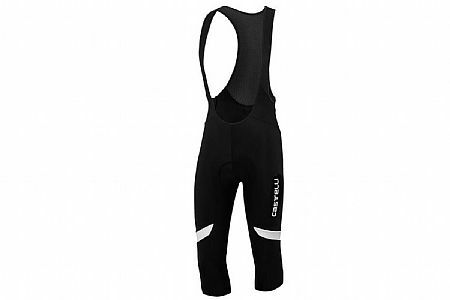 I'm not sure what's going on with Castelli's line lately. These knickers replaced a pair of medium Sorpasso knickers that developed bursted seams in the thigh where the thread had unraveled. In addition, the X2 pad in the Sorpasso was incredibly bulky to me. The KISS pad in the Velocissimo is more what I'm used to in a Castelli pad. My only real issue is that the fit is extremely tight (my build is wiry to begin with). I developed a pinch bruise next to a panel seam. Otherwise, they are warm and block the wind nicely.